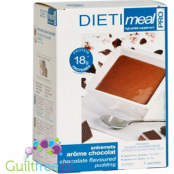 The classic dessert of Spanish and Mexican cuisine is a baked pudding cream - see how delicious its chocolate version!Chocolate Dieti Meal contains as much as 71% protein and a whole serving of sweet dessert delivers just 83kcal and only 1.1g of carbohydrates! 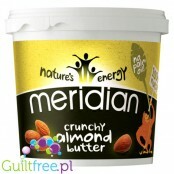 Packed with protein (20g per serving!) 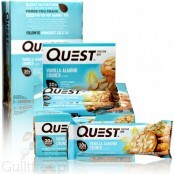 Vanilla shake protein is a delicious low-IG snack that will give you energy for hours. 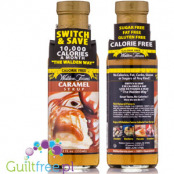 Just pour water or milk and you can enjoy the taste of a delicious thick protein cocktail - the minimum amount of calories, maximum taste and satiety! 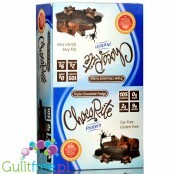 Delicious taste: cookies with cream. 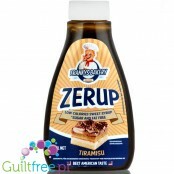 An extremely easy-to-prepare Protein Bodywash pudding with a creamy cream cake contains up to 78% high quality protein, not corn starch, just like regular pudding. 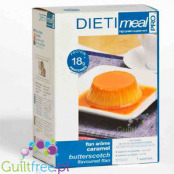 Rich in BCAA Body Attack pudding is more than just plain dessert, because the BCAA is credited with a key role in protein and energy metabolism. 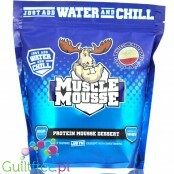 Muscle Moose protein mousse with white chocolate flavor. 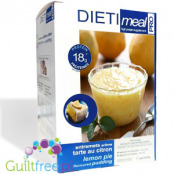 Simple and fast in preparation, delicious dessert with high protein content and minimal carbohydrate content ensures a long satiety feeling. 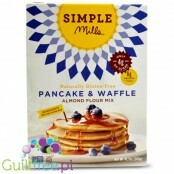 Protein mousse flavored butter biscuits. 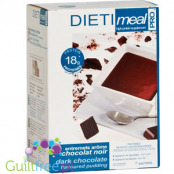 Simple and fast in preparation, delicious dessert with high protein content and minimal carbohydrate content ensures a long satiety feeling. 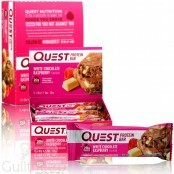 White chocolate and raspberry protein mousse. 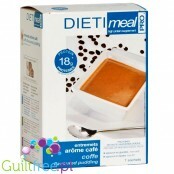 Simple and quick to prepare, delicious dessert with high protein content and minimal carbohydrate content. 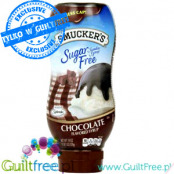 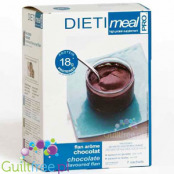 Chocolate pudding with a maximum of high protein content - one sachet is a portion of sweet fluffy pudding with a chocolate donut flavor that will provide your body with as much as 15g of protein at only 100kcal. 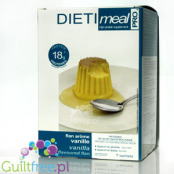 Vanilla pudding with a maximum of high protein content - one sachet is a portion of sweet fluffy pudding with a vanilla frocting cream flavor that will provide your body with as much as 15g of protein at only 100kcal. 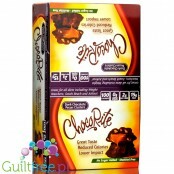 Packed with protein (20g per serving!) 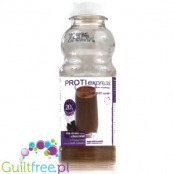 Strawberry protein smoothie is a delicious low-IG snack that will give you energy for hours. 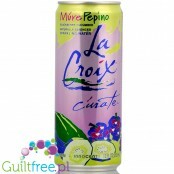 Just pour in water or milk and you can enjoy the taste of a delicious creamy protein cocktail - the minimum amount of calories, maximum taste and satiety! 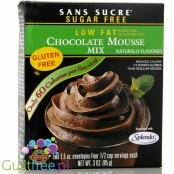 Packed with protein (20g per serving!) 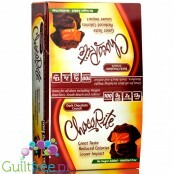 Protein shake Chocolate with excellent quality cocoa is a delicious snack with a low GI, which will give you energy for hours. 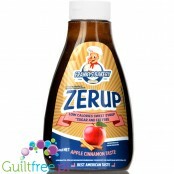 Just pour in water or milk and you can enjoy the taste of a delicious creamy protein cocktail - the minimum amount of calories, maximum taste and satiety! 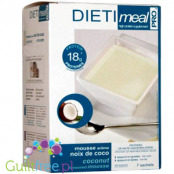 Aromatic, thick, creamy mousse with a sweet coconut taste impresses with its taste and provides a feeling of fullness for hours. 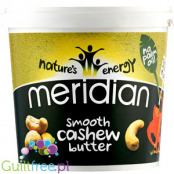 One serving is only 105kcal, and only 2g of carbohydrates, and at the same time as much as 18g of protein! 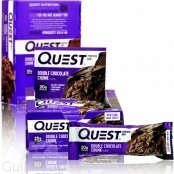 Do you train intensely? 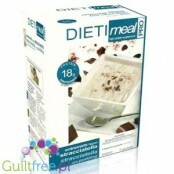 You are on a diet? 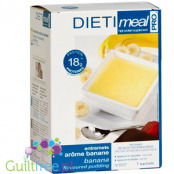 DIETImeal PRO pudding is the perfect lunch or dessert for you! 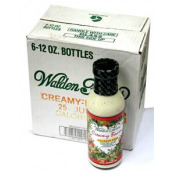 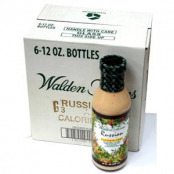 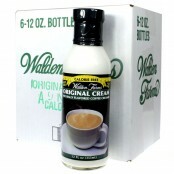 NEW FORMULA, creamy consistency even with water! 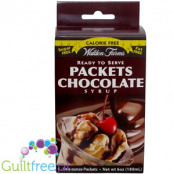 Instant and simple to prepare protein cream Body Attack with a creamy-chocolate flavor contains up to 76% of high-quality protein, no corn starch, as ordinary puddings. 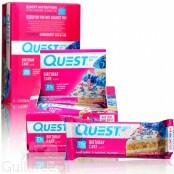 The BCAA Body Attack body is more than just a dessert, because BCAA is assigned a key role in the metabolism of proteins and energy. 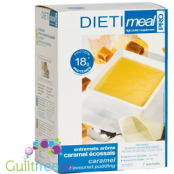 The classic dessert of Spanish and Mexican cuisine is a baked pudding cream with an unusual caramel flavor and a wonderfully creamy consistency.Caramel Flan Dieti Meal contains as much as 73% protein and the whole serving of sweet dessert delivers just 83kcal and only 1.3g of carbohydrates! 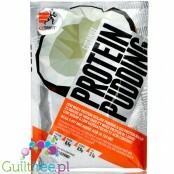 Instant, easy-to-prepare Protein Bodywash protein pudding contains 82% high quality protein, not corn starch, just like regular pudding. 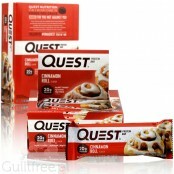 The rich bodybuilding bodybuilder BCAA is more than just a dessert, because the BCAA has a key role in the metabolism of proteins and energy. 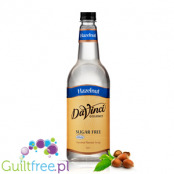 New taste - Butterscotch. 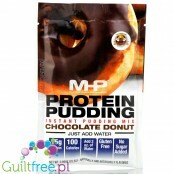 High Protein Pudding MHP delivers as much as 30 grams of the highest quality protein. 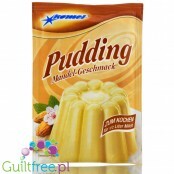 Delicious pudding is not only a sensational dessert, but first of all a valuable meal. 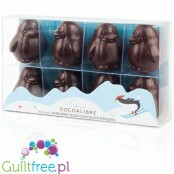 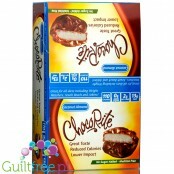 The large 250g can supply only 200kcal and the optimal ratio of nutrients guarantee a long satiety feeling. 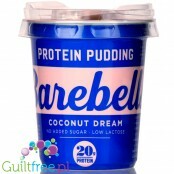 Custard consistency, 20g protein, fluffy rich flavor of coconut and no sugar added! 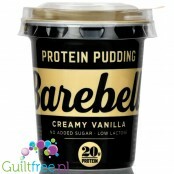 Meet Barebells - lactose free best protein pudding ever. 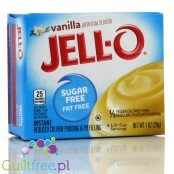 Custard consistency, 20g protein, fluffy rich flavor of vanilla and no sugar added! 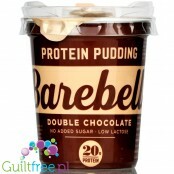 Meet Barebells - lactose free best protein pudding ever. 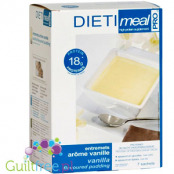 Protein supplement in the form of a delicious coconut dessert - up to 25g of the highest quality protein from the CFM cross-filtration protein filtrate, optimized amino acid profile. 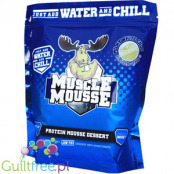 An innovative way to provide the body with a protein in a delicious form. 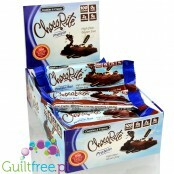 Protein puddings are a product similar to protein nutrients. 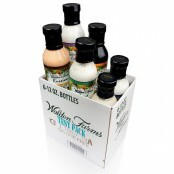 They differ in the way of preparation and consistency. 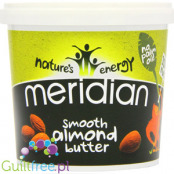 These are dietary products with low fat content and minimal (or zero) amount of carbohydrates / sugar. 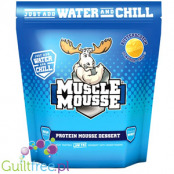 If healthy eating is your everyday life, you certainly are not aware of protein shakes, which are the basis of the diet of body sportsmen. 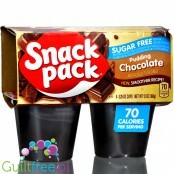 Now high-protein products are also available in the form of a smooth pudding, which after cooling becomes healthy and does not provide unnecessary calories with dessert. 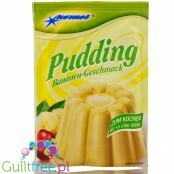 In our shop, instant puddings (in powder for self-made with water or milk) or ready (ideal for taking a trip or for work) are available. 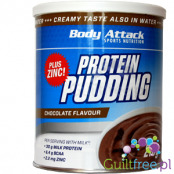 The leading body of protein pudding in the immediate form is Body Attack. 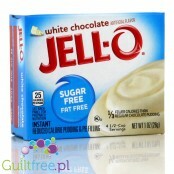 These puddings are available in large cans, in many flavors and contain up to 30g of protein per serving. 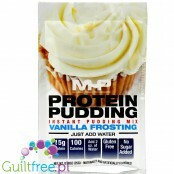 Ready MHP protein puddings are present in 3 flavors, delivering 30g of protein in a portion, zero sugar and only 200 kcal.